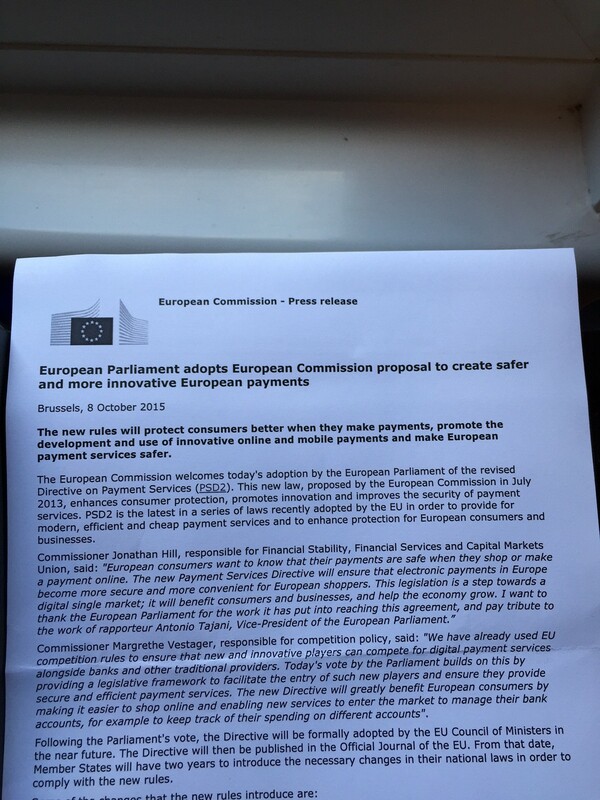 The revised Payment Services Directive (PSD2) has now been adopted by the European Parliament, clearing the way for its approval in the near future by the EU Council of Ministers and subsequent publication in the Official Journal. Given this timeline, it is likely that those impacted by the changes will have until the later part of 2017 to implement the revised directive. The rules around Third Party Payment Service Providers being granted access to customer accounts held with other PSPs. An increase in security obligations. directive, payment, payment services, payment services directive, Payments, PSD, PSD2 permalink.